Email forwarding enables you to forward emails from one account to another. It’s helpful if you have multiple email accounts but want all your emails to arrive in the same inbox. 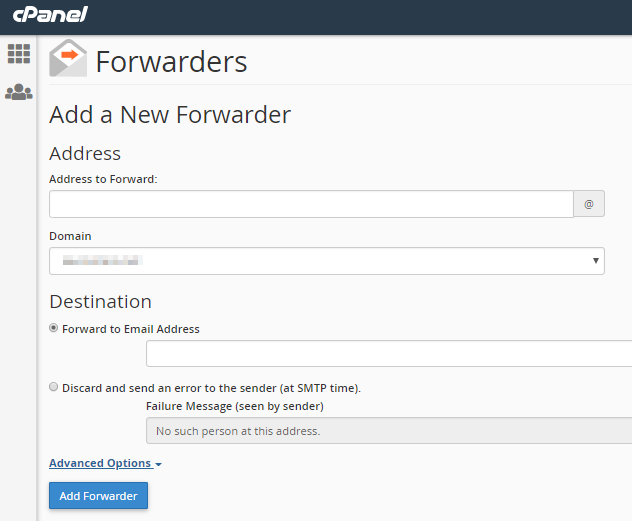 To set up email forwarding, follow these instructions. 3. On the Forwarders page, you have two options. 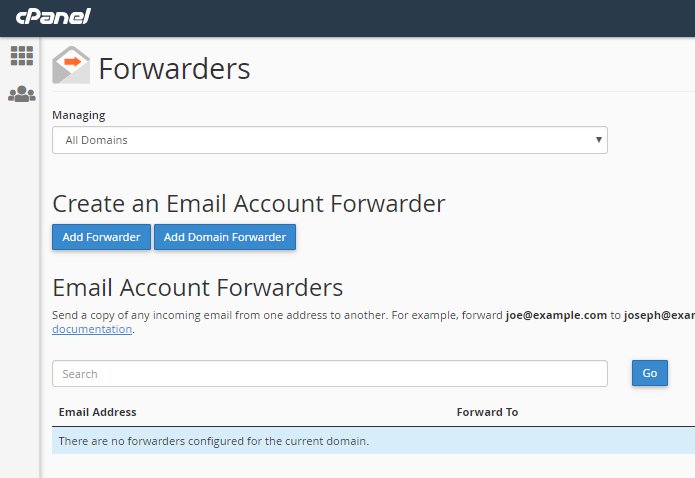 If you want to forward mail from a single email account to another, click on the blue Add Forwarder icon. If you want to forward the mail of all the addresses from one domain to another email account, click the Add Domain Forwarder box. Type in the name information (everything before the @ sign) of the address you want to be forwarded. Select the domain of the email address (everything after the @ sign) from the dropdown box. Fill in the email address you would like the emails to be forwarded to. Select the domain from the dropdown box.